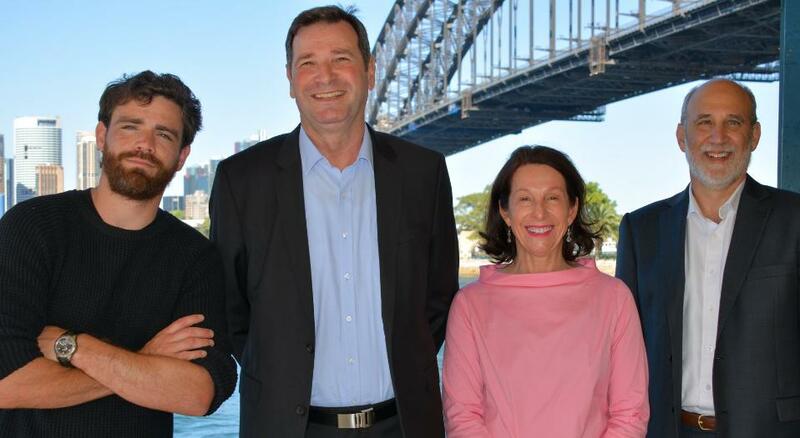 L to R; Alex Goad, Industrial Designer at Reef Design Lab, Greg Bosnich, Volvo’s head of PR and Corporate, North Sydney Council's Mayor Jilly Gibson and SIMS Director Prof. Peter Steinberg. A global response to the impact of increasing urbanisation on coastlines has been brought to Sydney with the unveiling of one of the world’s largest Living Seawalls at Milsons Point this week. To begin restoring the balance Swedish car maker Volvo partnered with the Sydney Institute of Marine Science, Reef Design Lab and North Sydney Council to create one of the world’s largest Living Seawalls at Milsons Point. The ‘habitat tiles’ are designed to help make seawalls more ecologically sustainable by creating a more natural environment for marine life. They have been installed on seawalls along Sawmillers Reserve and Bradfield Park in North Sydney, making it the largest retrofit of a Living Seawall in Australia and potentially the world. This follows a 20-year partnership between North Sydney Council and Sydney-based universities on making seawalls more ecologically sustainable. North Sydney Council will be installing a real scale sculpture of the tiles with interpretive signage ‘to tell the story’ of the project at the Sawmillers Reserve site. Mayor Jilly Gibson said: “New ‘habitat tiles’ on our seawalls has the potential to help rejuvenate Sydney Harbour by bringing more marine life back into our waters. The project is a result of years of research by Sydney Universities which has been supported by Council. Sydney universities have successfully trialled several approaches - including artificial rock-pools and flower pots - on North Sydney’s seawalls over the years. But the ‘habitat tiles’, developed by the Sydney Institute of Marine Sciences (SIMS) and Reef Design Lab, proved so promising after a small-scale trial in Sawmillers Reserve, even Swedish engineers’ interest was piqued, with Volvo signing up to the project in 2018. In early October, SIMS added 108 new habitat tiles, comprising of five designs developed by the Reef Design Lab, to the seawall at Sawmillers Reserve. Volvo also installed 50 of their own ‘mangrove tiles’, slightly modified to mimic the root of mangrove trees, along the seawall in Bradfield Park. Both ‘habitat tiles’ increase attachment space for intertidal species like oysters, which are vital to maintain water quality and provide food and habitat for fish. Within a week of installation oysters, molluscs, and filter-feeding organisms will begin colonising the Living Seawall, helping to combat the effects of urbanisation and pollution in our waterways. Over time, this colonisation is likely to grow and new species will colonise the tiles and beyond so that eventually they will be hardly visible. This project is a joint initiative between North Sydney Council, SIMS - Sydney Institute of Marine Sciences - and Volvo. Funding for this project was provided by the NSW Environmental Trust, the Harding Miller Foundation, and the Kirby Foundation. The tiles are expected to remain in place until at least 2038, with their effectiveness in improving marine life to be monitored by SIMS. Sydney Harbour is set to see a rise in sea life levels, thanks to new ‘habitat tiles’ that have been fixed to North Sydney’s harbour walls! 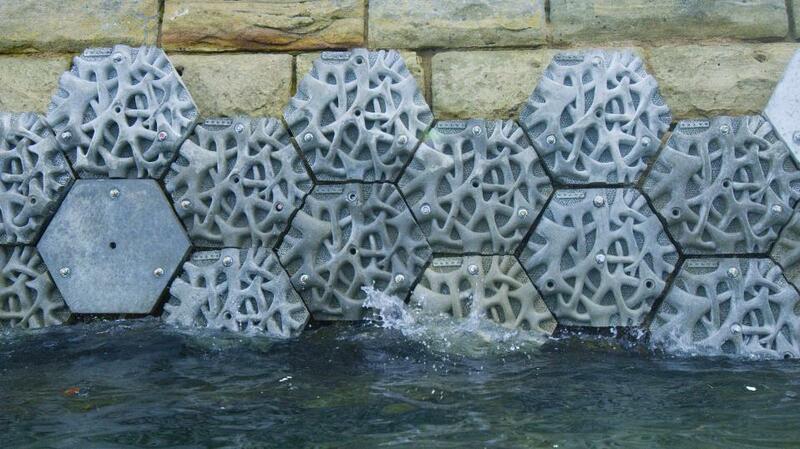 These revolutionary tiles are designed to help make seawalls more ecologically sustainable, by creating a more natural environment for marine life. They have been installed on seawalls along Sawmillers Reserve and Bradfield Park in North Sydney, making it one of the largest Living Seawalls in Australia.